One week after launch, VeoRide ridership is booming. 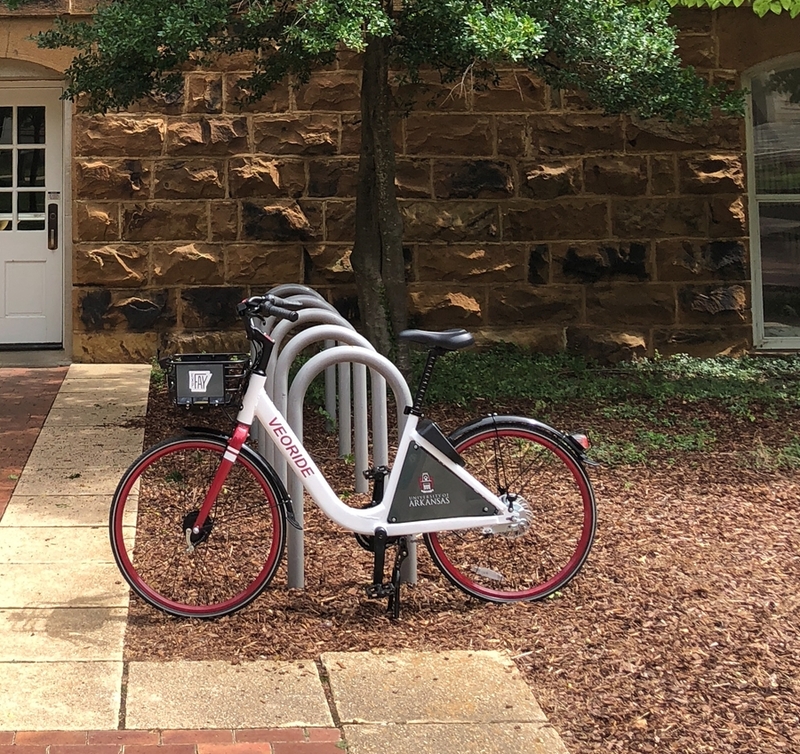 The VeoRide bike share company, which operates in more than a dozen other markets, has set several company records for ridership during its University of Arkansas and Fayetteville roll-out. More than 2,200 people hopped on the system and have taken over 3,000 rides in just the first six days. This system is dockless, meaning the bikes are self-locking and do not have to be returned to docking stations. This does not mean however that riders can leave the bikes just anywhere. Riders should always park at a bike rack when on the University campus. When parking off-campus riders are encouraged to park at a bike rack whenever one is available and always avoid parking on trails, or in walkways. The VeoRide system is the largest bike share system in Arkansas with 340 bikes and electric assist bikes. This new system is available at discounted rates for students, faculty, and staff of the University of Arkansas. To use the system, download the VeoRide app, create an account and ride. When you're done just be sure to park courteously.